My research is centered in the field of environmental/sustainability social science and focuses on designing strategies to achieve absolute reductions in resource demand—an area of scholarship and policy practice known as “sustainable consumption.” This work spans an array of scalar contexts and academic disciplines. At the micro-scale of individuals and households, I integrate across industrial ecology, ecological economics, environmental sociology, and consumer psychology. On the macro-scale of nations and the global system I draw on perspectives from political economy, macroeconomics, history, political sociology, and innovation studies. I have also been active at the research-policy interface and collaborated with international organizations, national governments, and regional and local authorities on development of sustainable consumption action plans and other related projects. It is notable that the 2015 revision to the United Nations Framework Convention on Climate Change (Paris Agreement) affirms that “sustainable lifestyles and sustainable patterns of consumption and production, with developed country Parties taking the lead, play an important role in addressing climate change.” My work accords with this objective through formulation of interventions to limit environmental burdens and social inequities associated with prevailing consumer practices and identification of opportunities to enhance individual and collective well-being while reducing overall throughput. I have in recent years become particularly interested in how several converging macro-structural shifts are transforming prevalent consumption practices. For instance, the United States and most other affluent countries are currently undergoing processes of demographic ageing, increasing inequality, and expanding reliance on contingent labor. These trends are contributing to the erosion of middle-class lifestyles and intensifying socioeconomic polarization. My forthcoming book The Future of Consumer Society: Prospects for Sustainability in the New Economy (Oxford University Press, 2016) considers these unfolding developments with respect to growing participation in the “sharing economy,” the Maker Movement, and economic localization. I also examine how a new generation of digital automation technologies is poised to change customary patterns of production and consumption. The evidence suggests that we are at the early stages of a transitional period of sociotechnical change where consumerism will weaken as the predominant system of social organization. The withering of familiar livelihood arrangements will exacerbate economic insecurity and create conditions of protracted political instability. This past year (2014‒2015), I was a Visiting Researcher at the Sustainable Consumption Institute at the University of Manchester and a Visiting Fellow at the Research Institute for Humanity and Nature in Japan. For the current year (2015‒2016), I am a Lewis O. Kelso Fellow at the School of Management and Labor Relations at Rutgers University. 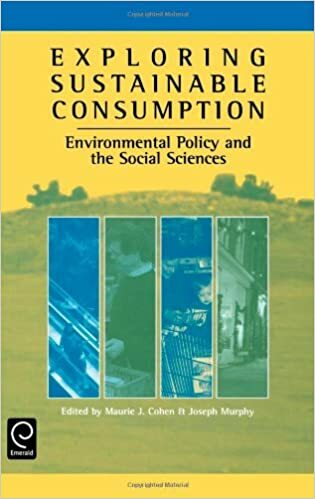 Recent research outputs include an edited book (with Emily Huddart Kennedy, Assistant Professor in the Department of Sociology at Washington State University and Naomi Krogman, Professor of Sociology in the Department of Resource Economics and Environmental Sociology at the University of Alberta) entitled Putting Sustainable Consumption into Practice: Applications and Advances in Social Practice Theories (Edward Elgar, 2015) and an individually authored chapter in The Handbook of Research on Sustainable Consumption (edited by Lucia Reisch and John Thøgersen; Edward Elgar, 2015). 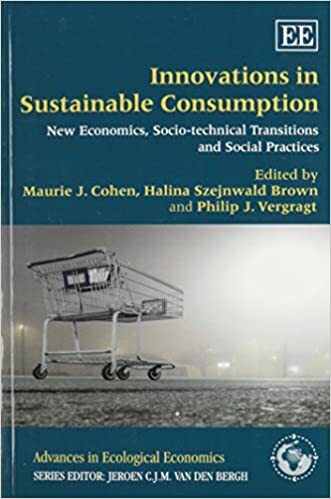 I also have another book under contract with Routledge provisionally entitled Social Change and Sustainable Consumption: Theoretical Advances and Policy Implications (co-edited with Halina Brown, Professor of Environmental Science and Policy at Clark University, and Philip Vergragt, Associate Fellow at the Tellus Institute). 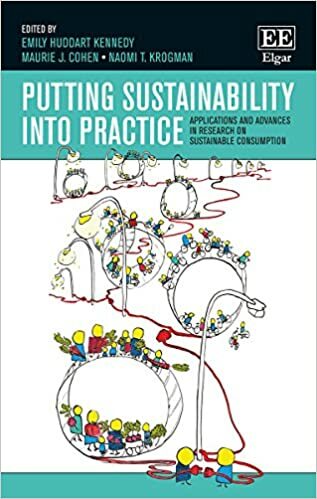 I am furthermore co-editor of the newly launched Routledge-SCORAI Book Series on Sustainable Consumption and continue as Editor of the journal Sustainability: Science, Practice, and Policy (SSPP) and as an Executive Board Member of the Sustainable Consumption Research and Action Initiative (SCORAI). Copies of most of my publications can be downloaded directly from ResearchGate or Academia.edu.